“We, the members of MenEngage Alliance Europe, strongly condemn the sexual assault of dozens of women and girls in Cologne on New Year’s Eve. We extend our profound sympathy towards those affected. We believe that this is symptomatic of a patriarchal mindset and system that oppresses and violates women and girls every day. Similarly, the sensationalist way in which this event is being written about in popular media is symptomatic of a xenophobic system that oppresses and violates the rights of ethnic minorities. These events are occurring at a time when global debates are firing up about whether to greet refugees – who have suffered unimaginable loss and trauma – with open arms or closed doors. Already, groups of men are seeking their own brand of vigilante justice against those who they consider guilty. We, as members of MenEngage-Europe, an alliance of organizations and individuals working to transform masculinities and engage boys and men in gender justice in Europe, know that social expectations demand that “real men” be tough, dominant, not show their emotions and protect “their women”. In this sense, the violence perpetrated by the vigilante groups can be understood as a public demonstration of heroism and a manifestation of narrow definitions of masculinities. We, the alliance members, including many men, strongly condemn and challenge these norms around “being a man” that foster inequalities and injustice, against girls, women and other men. We strongly believe that these norms are not good for anyone of any gender. As men, we need to start a process of internal reflection among ourselves and with others, and change the ways we think about men’s and women’s roles, expectations and the way we socialize our children as parents, families and community members. We, as men and boys, carry privileges as a result of the structures we live in and have created; therefore, the onus is on us to transform ourselves and our societies, and not only when it’s convenient to us. We must keep our privileges in mind when we preach to others, and reflect on larger structural issues that govern the behaviors of certain groups or individuals in a given context. We strongly believe that additional violence is not the solution to violence. We, as men and human beings, need talk together, cry together, and dare to show weakness together. When we do this, we learn from each other, and discover our commonalities more than we do our differences. We, as men, need to engage in this process together with women and persons of all genders. If we do this in a constructive way, we enhance our mutual understanding and respect, between and among men, women and persons of all gender identities. The responsibility is ours! Let us show that the true meaning being real men is not to threaten, be violent and destroy – but to cherish, love, care for each other, support and unite for equality and peace. Let us show that men care. We can do this through investing in long-term efforts alongside women’s rights groups and movements to prevent and uproot violence before it starts through education, campaigning, through policy changes and more. In our daily lives, we need to become active bystanders who dare to question the behavior of our friends and ourselves. As MenEngage, we welcome peaceful action taken by men, women and others who are outraged by the sexual violence perpetrated against girls and women on a daily basis, not just in Cologne. Violence against women and girls has been a priority for the women’s movement for decades, and we, as alliance, are extending our support by adding our voice for justice. Furthermore, we do not want such an important issue to be abused for the purposes of a xenophobic agenda. Let’s challenge the fears that lead us to equate refugees and criminals. As borders increasingly open, let us choose love over fear and open arms over closed borders. Let us use our masculinity for good and good will answer back”. 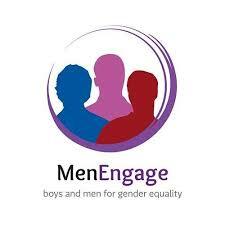 The MenEngage Alliance works to engage boys and men in gender justice, to end sexism and violence, to promote health and caring masculinities. We are an alliance of men, women and trans-people of many colours and backgrounds, from a growing number of countries and communities worldwide. We look for partnership and mutual support and inspiration, for inclusion instead of exclusion, for building a better world together. We support grassroots initiatives by men and women and we advocate for large scale policy change.